The Story Of Three: What I'm Wearing This Winter - White! What I'm Wearing This Winter - White! This winter I'm all about fashion that is affordable and comfortable, I love clothing and shoes that work well with my wallet and my everyday crazy busy lifestyle. 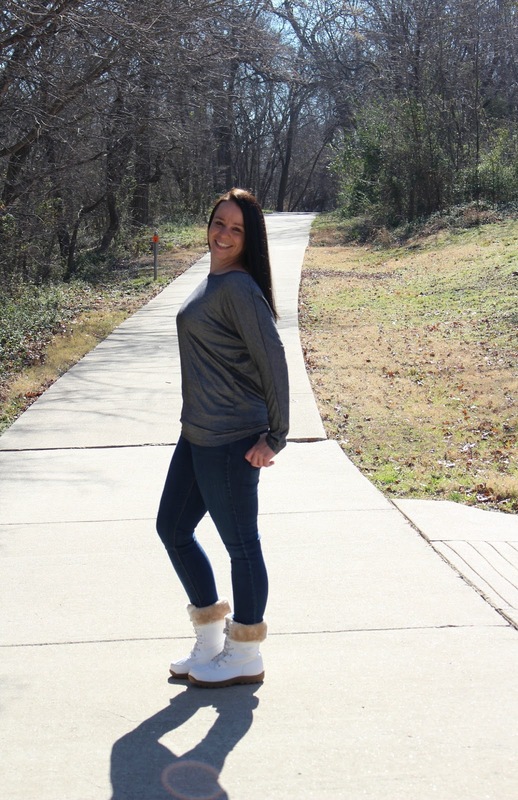 Well last year I fell in love with Lugz boots and I could never imagine putting anything else on my feet and now I am excitedly adding a second pair to my winter wardrobe! From hiking trails to playing in the snow this winter, these Lugz boots are the only ones you'll find me wearing! I can't get over how amazing the Tambora boot is, before these came along I would of never dreamed of wearing white boots! The Tambora is a boot that I instantly fell in love with, it provides tremendous warmth, comfort, functionality and fashion - giving you the perfect cold weather boot! 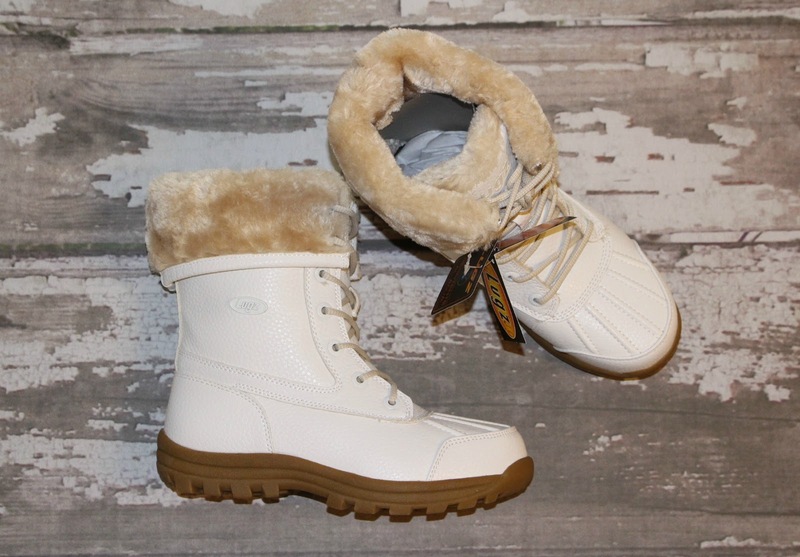 This cozy and comfortable boot features a padded tongue, adjustable fold-down collar, water resistant upper, plus faux fur lining, a luxuriously cushioned foot-bed and a reinforced rubber heel and toe. Lugz new "Snow White" collection is their best collection yet (I think)! Whether the real "white" stuff touches down by you or not, you can still look fashionable and be comfortable this winter! Since 1993 Lugz has been making great footwear for the entire family, but it just keeps getting better and better. Treat yourself and your feet this winter and be ready for whatever weather comes your way. So what do you think? Could you see yourself wearing a pair of boots from the new Lugz Snow White Collection? Be sure to stay connected with Lugz on Facebook, Twitter and Instagram for the latest and greatest! Labels: #MomFashion, Fashion, Lugz Footwear, Lugz Snow White Collection, Step into Fall with Lugz Footwear, What I'm Wearing This Winter - White!